To find where to stay, ratings, other places to visit, and other tourist information, read Denver trip planner . Lincoln to Denver is an approximately 3.5-hour flight. You can also drive; or take a train. Due to the time zone difference, you'll gain 1 hour traveling from Lincoln to Denver. Traveling from Lincoln in July, you can expect nighttime temperatures to be little chillier in Denver, with lows of 60°F. Wrap up your sightseeing by early afternoon on the 8th (Mon) to allow time for travel to San Francisco. You've now added Fisherman's Wharf to your itinerary. Kick off your visit on the 8th (Mon): take in the pleasant sights at Fisherman's Wharf. Get ready for a full day of sightseeing on the 9th (Tue): kick back and relax at Fort Funston National Park, then snap pictures at Golden Gate Bridge, and then head off the coast to Alcatraz Island. To see maps, more things to do, ratings, and other tourist information, read our San Francisco road trip planner. You can fly from Denver to San Francisco in 5 hours. Other options are to do a combination of flight and train; or drive. The time zone difference moving from Mountain Standard Time to Pacific Standard Time is minus 1 hour. Expect slightly colder weather when traveling from Denver in July: highs in San Francisco hover around 73°F, while lows dip to 57°F. On the 11th (Thu), you'll travel to Yosemite National Park. 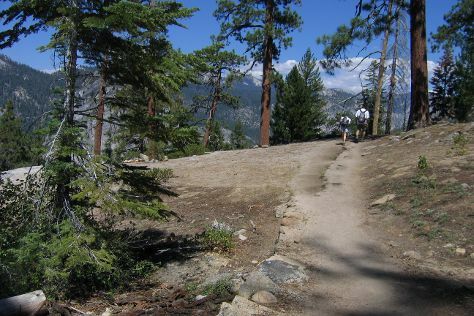 Start off your visit on the 11th (Thu): hike along Lower Yosemite Fall Trail, then don't miss a visit to Yosemite Conservation Heritage Center, then tour the pleasant surroundings at Panorama Trail, and finally explore the striking landscape at Glacier Point. Get ready for a full day of sightseeing on the 12th (Fri): make a trip to Olmsted Point, then stroll through Four Mile Trail, then get great views at Valley View, and finally admire the sheer force of Yosemite Falls. To find photos, where to stay, maps, and other tourist information, go to the Yosemite National Park road trip planning site . Traveling by car from San Francisco to Yosemite National Park takes 4 hours. Alternatively, you can do a combination of flight and car; or do a combination of flight and bus. While traveling from San Francisco, expect somewhat warmer days and little chillier nights in Yosemite National Park, ranging from highs of 83°F to lows of 46°F. Wrap up your sightseeing on the 13th (Sat) to allow time to drive to Las Vegas. Your day-by-day itinerary now includes Hoover Dam. 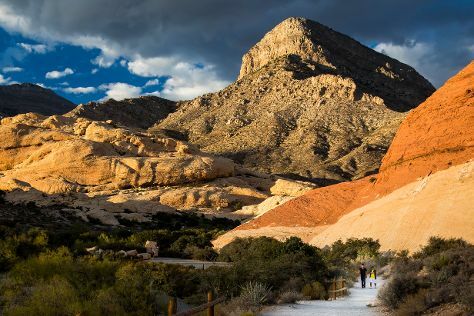 Start off your visit on the 13th (Sat): admire the engineering at Hoover Dam and then explore the stunning scenery at Red Rock Canyon National Conservation Area. Get ready for a full day of sightseeing on the next day: identify plant and animal life at Lake Mead National Recreation Area, get a taste of the local shopping with The Strip, and then don't miss a visit to Bellagio Fountains. For ratings, reviews, other places to visit, and tourist information, you can read our Las Vegas trip planner . Getting from Yosemite National Park to Las Vegas by car takes about 9 hours. Traveling from Yosemite National Park in July, things will get much hotter in Las Vegas: highs are around 104°F and lows about 81°F. Wrap up your sightseeing by early afternoon on the 15th (Mon) to allow enough time to travel back home.